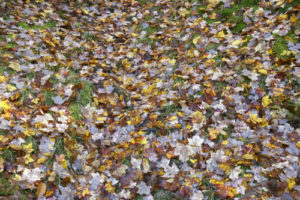 Why is leaf cleanup beneficial to your lawn? Cleaning up the leaves in your front yard is the best thing you can do for the health of your fescue grass. Too many leaves blocks sunlight and reduces water evaporation which can cause fungus and mold to grow on the fescue grass underneath. Although fescue grass is very tough, if the leaves are cleaned up too late it could be very damaging because the grass might not recover from the mold and fungus that has grown onto it. 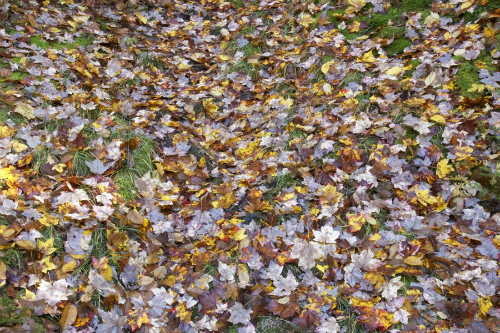 Leaving wet, old, rotting leaves (which also attracts mosquitoes) on the grass may leave you re-planting seeds in the springtime. Fescue grass is already known to need to be re-planted in the fall from the stress the sun had caused it in the summer. Feel free to contact us if you’re in need of a lawn clean up! © 2019Nichols Lawn Services | Proudly powered by WordPress | Theme by Theme Farmer.